Gort Sceiche – a tilled field surrounded by a whitethorn hedge. Gortskehy National School was founded in 1887 with the current building completed in 1964. A major renovation and extension was completed in 2017. Our school promotes personal achievement through a broad and balanced education. “The Best” is demanded of and expected for each student. The philosophy of the school demands high standards of work, personal behaviour and respect of self and of others. The motivation for excellence is fostered by providing opportunities to excel in a variety of subject areas. 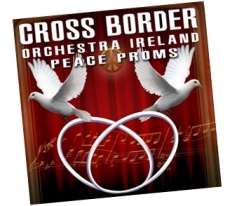 Each year the children perform in Scór na nÓg and in early 2011 after many months of practice, the children performed with the Cross Border Orchestra of Ireland in the Royal Theatre, Castlebar. Irish Dancing Lessons are available (subject to demand). For a video and more information click here. Sport forms a vital part of our school activities. Both the boys and girls field a football, spikeball and soccer team every year. In 2011 the girls’ football team went on to reach the Cumann na mBunscol County Final and enjoyed playing at McHale Park, Castlebar. In 2012 the girls’ football team won the Ballyhaunis/Area Division Cup for the first time. The children also take part in the FAI 5-a-side soccer competition while last year the mixed Spikeball team were narrowly beaten in the county final in Charlestown. Technology forms part of a stimulating learning environment where the children are introduced to computer programming and film making. 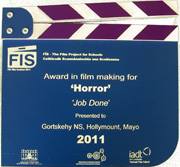 In November 2011 we received a national award at the FÍS Film Festival in the Helix, Dublin for our film ‘Job Done’. 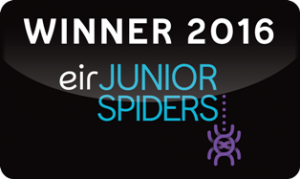 The children received the award for Outstanding Achievement in Film Making for ‘Horror’ and are very proud of this achievement given the record number of entries from schools all over the country. The pupils also received an award at the 2012 Fresh Film Festival in Limerick, an amazing achievement considering there were over 440 entries, many associated with national film schools. The school has also invested in Fizzbook netbooks for the pupils which are used daily in every subject area. We are the first primary school in Ireland to have the pupils’ video work featured on An Lár TV, a Community TV channel for the Irish Diaspora. anlar.tv has an audience of between 2,500-3,000 people per day in around 50 countries. Gortskehy NS joins a list of other educators providing content for the channel such as the University of Limerick, the Royal College of Science at UCD and the Irish School of Animation in Dublin. The Gortskehy pupils used Skype to record face-to-face video interviews with Colette O’Flynn, Research Officer at the National Biodiversity Data Centre in Waterford, Brian Curran of Ireland West Angling and Herbert Dingerkus of the East Mayo Anglers’ Association. The childrens’ DVD is informative and records their artwork, research, interviews and exploration of a local stream with the assistance of Aisling Wheeler from An Taisce. It received an excellent review in the September 2011 edition of InTouch, the primary school magazine for primary teachers in Ireland. 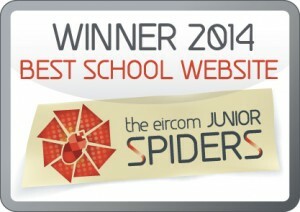 “According to the judges a school website is a window into the life of that school. This website is not a static brochure but captures vividly the rich variety of activities taking place in the School. The site is based on a blog but utilises a range of tools ranging from RSS to Twitter and Facebook. The pupils are introduced to computer programming in the senior room and are have published their own html5 games for desktop and mobile. Gortskehy NS is also proud to have been one of twenty primary schools in Ireland selected to take part in MissionV, a project supported by the National Centre for Technology in Education (NCTE) and the first in Ireland to use 3D modelling software and programming tools to teach part of the primary school curriculum. It is innovative in the teaching of STEM (Science, Technology, Education & Maths) subjects while demonstrating the practical applications of architecture, geometry and computer programming. The pupils’ work was exhibited in the MissionV Learning Hub, a dedicated virtual exhibition hall during National Science Week in November 2011. The school is very well equipped for science and Gortskehy N.S. was the only school from Mayo selected to exhibit an experiment at the RDS BT Young Scientist Exhibition in 2012. The ‘Acids and Bases’ chemistry experiment, incorporating a lego robot built and programmed by the children, received an award at the event. 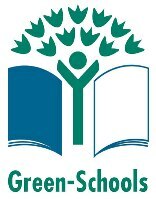 The children and staff were delighted to have recently been awarded their third green flag from An Taisce and are currently working on a two-year programme themed ‘Transport’ to achieve their fourth. The school is fortunate to have Tom Murphy and Rose McHale who take excellent care of our buildings and grounds. 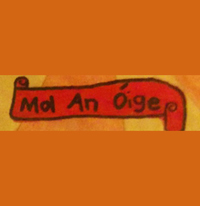 Tá caighdeán Gaeilge an-ard sa scoil le Gaeilge den chéad scoth ag na múinteoirí agus dearcadh dearfach i dtreo na teanga ag na páistí. French is also taught in the senior room which is supplemented with pen-pal and video links with our twin school in Dijon. 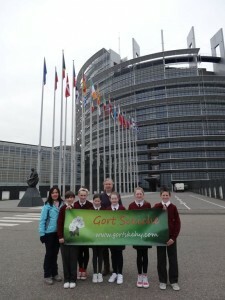 Earlier this year Gortskehy NS was invited by a school in Austria to take part in the EU Comenius School Partnership Programme. The programme commenced in 2012 and involves joint projects with schools in Turkey, Romania, Austria, Italy and Estonia. It is an excellent opportunity for the children to learn about other countries and cultures. As part of the Comenius programme 6th class made a fully-funded trip to Paris and Strasbourg in Easter 2013. The pupils visited the Eiffel Tower, Versailles, Arc de Triomphe, Irish Embassy in Paris, the European Parliament in Strasbourg and the European Court of Human Rights. We received a fantastic welcome from the pupils and staff of our partner school in Hoenheim, Strasbourg. We were treated to some excellent singing and traditional Alsation dancing performances by the children and also given a tour of the city including a boat-trip of the river Ill.
We even played an early morning Gaelic football match with mixed French/Irish teams. A great day was also had by all at Fort of Schoenenbourg on the Maginot Line. In May, 2014, fifth and sixth class pupils travelled to Schoppernau in the Austrian Alps as part of our EU Comenius programme. There, they joined 21 other children from Volksschule Lustenau Rotkreuz, our partner school in Lustenau, Austria. 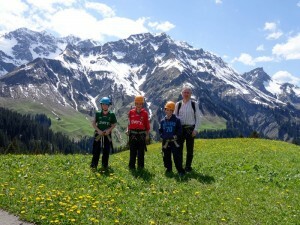 Schoppernau in the Austrian AlpsThe Alps are one of the great mountain ranges of Europe and the children learned about its flora and fauna with local guides as well as taking part in fun activities such as gorge walking, zip lining, orienteering etc. The trip was funded under the EU Comenius programme with special thanks to our co-ordinator Gerald Grahammer and Monika Lapitz, Volksschule Rotkreuzour in Lustenau, for making it possible. All in all, it’s a very busy and exciting time in Gortskehy National School.